As a local church leadership in a country town we’re exploring again how we express the need to support the growth of healthy churches in other places. I believe doing so is an integral marker of a healthy church. I believe it’s important that every local church, in some way, focuses on church planting. As local churches, we don’t want to be concerned with the gospel only in our context. We actually want to see the gospel advance. A New Testament pattern for the advance of the gospel is the planting of churches. We want to see every neighborhood and every neighbor brought into contact with the living Word of God. For that to happen, we have to have outposts in every neighborhood, in reachable contact of every neighbor. The New Testament word for those outposts is the local church. An application-intensive approach to seeking out and developing qualified church leaders. Thoughtful analysis of key passages in Acts and 1 Timothy are balanced with practical action points in a contemporary context. Every church, if it exists in the same spirit and shares the same DNA as the early church, should have a burning concern to see itself multiply, extend, and spread to the ends of the earth until everybody hears and the Lord comes. Categories: Church, Church Growth, Church Planting, Church Revitalisation | Tags: Church Growth, Church Planting, Church Revitalisation, Thabiti Anyabwile | Permalink. This post by Mikey Lynch lays out the progress of The Vision 100 Network in Tasmania. In it he explains the rationale, progress and lessons learned in a network of church planting local churches. It’s very encouraging and informative. Read Tasmania’s Vision For Hub Churches at Christian Reflections. Categories: Church, Church Growth, Church Planting | Tags: Church Growth, Church Planting, The Vision 100 Network | Permalink. Surendra and May Wesley are carrying out ministry in Mount Magnet, Western Australia, under the shared support of the Presbyterian Inland Mission and Australian Presbyterian World Mission. In this video, posted by APWM’s Kevin Murray during a recent visit, Surendra speaks about the response to the establishment phase of their work. Categories: Church Planting, Cross Cultural Work, News, Presbterian Inland Mission | Tags: APWM, Mount Magnet, PIM | Permalink. I think all local churches should have an active expression of support in another church which is growing toward viability. I don’t think local churches should outsource this support to their denomination. Being supportive of a growing church helps a local church actively think about what it is doing to grow. It’s hard to pray for and celebrate another church’s growth and resist attitudes that nurture growth in your own context. If a local church is not involved in some aspect of planting they should clearly know why they aren’t instead of thinking that being involved in one is the irregular state. Ed Stetzer had a whole post about why churches should plant, but this paragraph particularly appealed to me. There’s never a good time to plant a church – do it anyway. An informal survey several years ago asked pastors what was the optimal size to plant a church. Across the board, whether the church was large or small, most pastors answered about 25 percent larger than their existing church. Planting a church is like having a baby. There’s never really a good time. There is enough time, money, energy, and space to have one. Childbirth is messy and has a lot of yelling, but in the end, a beautiful life is born, the labor is forgotten, and we often want to have another. Choose not to become a cul-de-sac on the Great Commission Highway. We’ve got a lot of churches on some strong birth control. We need to have a lot more pregnancies. Intended ones. We need to see some beautiful church plants born and then we’ll want to have another one. And another one. I would exhort some established church pastors to get some skin in the game. 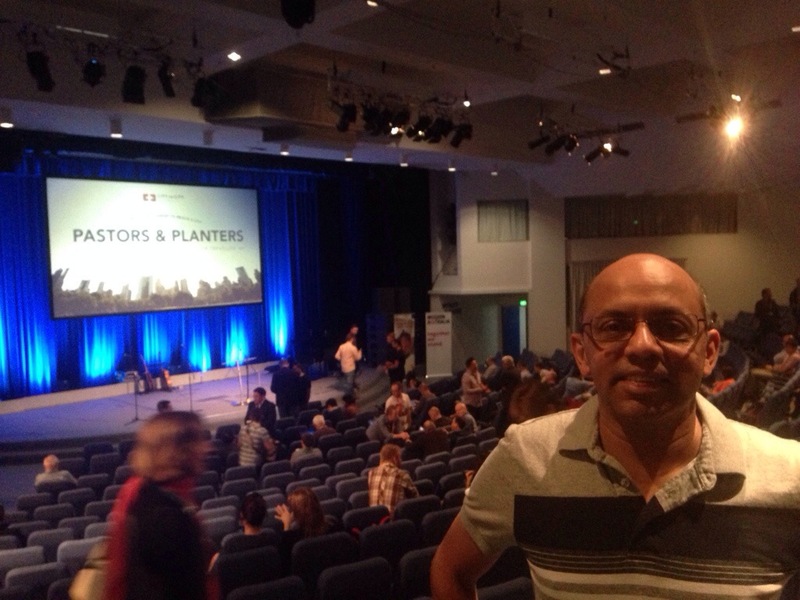 Generously give to church planting, yes, but then go and plant a church. Choose not to become a cul-de-sac on the Great Commission Highway. Categories: Church, Church Life, Church Planting, Kingdom of God, Outreach | Tags: Church Planting | Permalink. A post about growing a heart that genuinely is joyful when hearing about other churches that are seeing more fruit than the one you belong to. We strive to see fruitfulness in our mission and ministry, but when others seem to have blessings that we’d like to experience there’s no room to wish it had been us instead. Rather I want to pray that we’ll continue to be faithful, and that our friends would experience even greater blessings. There’s a difference between being encouraged and inspired by others, and simply just wanting what it is that they’ve got. That difference is grounded in a devotion to seeing the Kingdom grow, not just one local congregation. Seeing my neighbor’s church’s spiritual harvest, its abundance of gifts, its overflow of zeal, and then looking back over my shoulder at the all-too-obvious weaknesses in my own? Holding up two sets of membership numbers and budget totals to the light of the same sun? Standing at the property line between ours and theirs? Oh my friends, that’s where Satan hangs out. That’s where the ancient Evil One slinks up beside us whispering envy. And you shall not covet your neighbor’s church. The only way I know to silence that lion is to roar louder. The best way to shut up Satan and my own covetous heart is to pray. So when my neighbor has some good thing, when my neighbor’s church is experiencing blessing after blessing after blessing, I ought to seek to multiply its blessing. Categories: Christian Growth, Church, Church leadership, Church Life, Church Planting, Church Revitalisation, Pastoral Helps | Tags: Church Life, Pastor | Permalink. Contextualisation: Bringing the changeless message of the Gospel to address the particular cultural situation of the audience. Sermon introductions: ‘Open up your Bibles to …’ is also a contextualised approach to a felt need of an audience. No one presentation can transcend all cultures. What steps do we take to locate/stay in touch with the context of our locality? If you have an unhealthy marriage, how can you have a healthy ministry? The Gospel of Christ is clouded if it’s not being exercised at home. Ministry marriages fall apart: how does it happen? – getting busy for the Lord, getting hollow in life. Something comes along to fill the hole. Over the long journey sexual chemistry will not be consistent. Friendship can be. It needs to be continually renewed and remembered. Culture tells us when you lose sight of it you move on. You have to learn to reinvigorate and renew them. Put new meaning in the physical and non-physical aspects of relationships. Missional conversation: not about changing the topic to the Gospel, but bringing the Gospel to bear on every topic. And Chris Siriweera wanted me to include this photo of him, to prove that he was here. Categories: Church, Church Planting, Conferences, Kingdom of God, Missiology, Outreach | Permalink.